We sell Metal Shield by the roll. 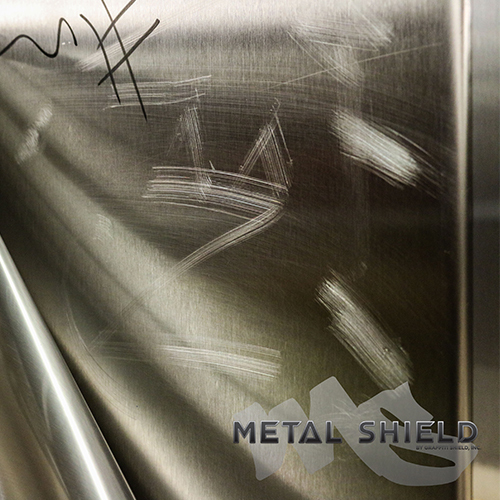 Metal Shield Stainless Steel is available in 60″ x 100′, and can be purchased in 25′ increments. The Metal Shield Brushed Aluminum and Brushed Gold is available in 59″ x 70′ and 59″ x 35′.